Scratching your head? 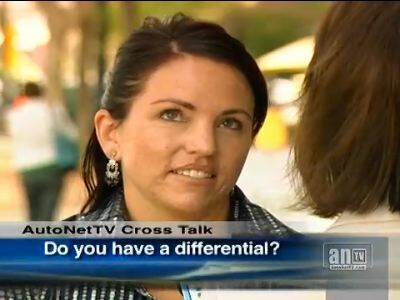 Don't worry, if you don't know what a differential is – you will in a moment. That fact is that if you drive a car anywhere in Midland, Texas, you have a differential. Whether your vehicle is front-wheel drive, rear-wheel drive or four-wheel drive, you have a differential. Some Midland vehicles might even have two or three. Not surprisingly, a differential's job is to compensate for differences; specifically, they're the differences in wheel speed when turning. For instance, imagine taking a corner near your Midland, Texas, home. Your inside wheel has a shorter distance to travel than the outside wheel as you turn the corner. That means that your outside wheel has to turn faster to keep pace with the inside wheel. 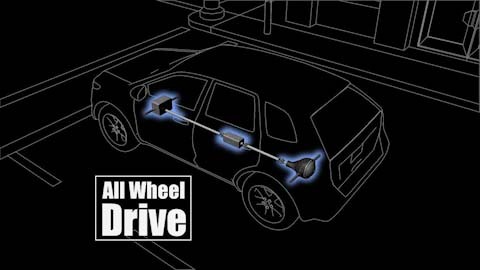 The differential allows the wheels to turn at different speeds while still providing power to your vehicle. Without a differential, Midland residents' tires would scrub and hop along the pavement during turns like the early cars. It can seem a little complex to some Midland drivers - but you can see that all of the engine's power is routed through your differentials. They're strong enough to handle the work, but- we've said it before - they need to be properly lubricated in order to stay strong. So from time to time, you need to schedule a differential service in Midland at West Texas Automotive. The used fluid is drained and replaced with clean fluid. Some advise certain differentials to have special additives installed. Get your differential serviced at West Texas Automotive in Midland. Time for Differential Service at West Texas Automotive? Hello Midland - let's talk differentials. If you have a rear-wheel drive vehicle, your differential is on the back axle. With front-wheel drive cars, the differential is up front. All-wheel drive and 4-wheel drive vehicles have three differentials - front, rear and in the middle. So you see, you've got a differential (or two or three) and it needs service now and then. So your West Texas Automotive technician drains the old fluid out and replaces it with fresh fluid. Some differentials also need a special additive that is put in at this time. So when should you have your vehicle differential serviced? Intervals vary from vehicle to vehicle – and may be as short as 15,000 miles/24,000 km – so check your vehicle owner's manual or ask us at West Texas Automotive. If you frequently drive with heavy loads, tow a trailer or drive in hot Texas conditions, you may need to change differential fluid more often. Servicing your differential on schedule at West Texas Automotive can save a pricey replacement down the road. West Texas Automotive service for this type of driveline includes servicing the transaxle and inspecting the CV boot. If the boot is damaged, the CV joint will need to be inspected, and the boot will need to be replaced. If you hear a clicking noise in your wheel wells when you turn, you may have a damaged CV joint. A damaged CV joint should be replaced. West Texas Automotive service on the drive train on a rear-wheel drive vehicle starts with servicing the differential. It will need its fluid drained and replaced regularly. The seals on the axles should also be inspected for wear or leaks. Leaking or damaged seals may mean the axle needs to be serviced as well. Also, U-joints can wear out. If you hear clunking or feel a jolt when you shift into drive or into reverse, it could indicate a driveline problem. Servicing an all-wheel drive at West Texas Automotive involves servicing ALL of the differentials and inspecting the joints and seals for wear, leaks or damage. Four-wheel drive vehicles are rear-wheel drive vehicles that have an option to transfer power to the front wheels. In other words, they can be driven as either rear-wheel or four-wheel drive vehicles. These vehicles are specifically designed for the harsh driving conditions Midland drivers encounter off-road. The driveline in a four-wheel drive vehicle is similar to that of an all-wheel drive vehicle. The center differential, however, is a transfer case. Maintenance requires servicing both of the differentials and the transfer case, as well as an inspection of the joints and seals. Midland auto owners would be wise to check with their owner's manual for recommendations on how often to service their vehicle drive train. It's also good auto advice to check with your friendly and knowledgeable West Texas Automotive service advisor as well. You may live in an area in Texas where weather or driving conditions require more frequent servicing of the drive train. Good car care at West Texas Automotive in Midland always includes taking care of your driveline. Without it, your vehicle becomes a very large paperweight. With front-wheel drive being so common these days in Midland, Texas, the differential is just taken care of during a transmission service, so most Midland drivers don't even have to think about it. And rear-wheel drive differentials don't need to be serviced for years, so it's understandable that it's not something on the top of Midland customers' minds. It's not uncommon for drivers to not know they have a differential let alone know that it needs service. Call West Texas Automotive in Midland at 432-689-5414 for information about differential service, or stop by our Midland, Texas, auto center at 4703 Andrews Hwy, 79703. To better understand what a differential does, think about our local Midland high school track. There are lanes marked off on the track. For the longer distance races, the starting lines are staggered. The starting lines for the outside lanes are ahead of the starting lines for the inside lanes. That's to compensate for the longer length of the outside lanes. Staggering the starting lines means that each runner has the same distance to run. It's a very important function. When you think of it, all the power to get a vehicle moving goes through the differential. Most cars in the Midland, Texas area weigh between 3,000 and 6,000 pounds (1,400 and 2,800 kg) – trucks even more. The power from the engine goes through the transmission and then through the differential to the drive wheels. The professionals at West Texas Automotive will drain the used fluid and check it out for metal bits, which could be a sign of excessive wear on the gears. Then they’ll replace the fluid and install the additives if necessary. Your West Texas Automotive service advisor can look up the vehicle manufacture's recommended service interval or you can check your owner's manual. Give us a call at 432-689-5414 for more information about your differential service. Here at AutoNetTV, we have national viewers, like your neighbors in Midland, who write to us with questions or feedback. One common question we're asked is: "What is a differential and what does it do?" You may have been told by your West Texas Automotive service advisor that your differential needs serviced, or it's seen it as an option up on the service menu. Differential service at West Texas Automotive covers a lot of things, so let's first talk about what a differential does. As you drive through a turn, your outside wheels and inside wheels turn at different speeds. Kind of like the cars going around a race track - the ones driving in the outside lanes have a greater distance to travel than the cars in the inside lanes. 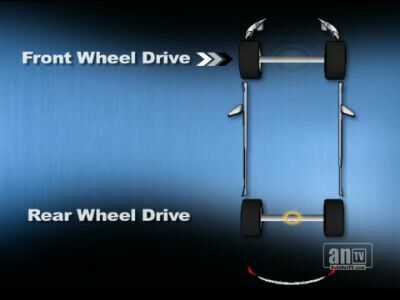 The differential is what allows the outside and inside drive wheels to rotate at slightly different speeds so that the tires don't hop or skip while taking corners, or lose traction in dirt or snow on Midland area roads. Differentials have gears in them that transfer the power from the drive train to your wheels - which is why they're often referred to as gear boxes. The gears need to be very strong to do this work, and they need to be properly protected so that they'll last. All vehicles in Midland have some form of differential. If you have a front-wheel drive car, your differential is sometimes called a transaxle and is located in the front. If you have rear-wheel drive, the differential is in the back of the car. Midland auto owners with a four-wheel drive vehicle have a differential in the front and the back - and in the middle as well. The center differential adjusts for differences in speed between the front and rear wheels. Differential fluid lubricates and cools the gears. Over time, the fluid can get dirty from bits of the gears grinding off. The additives that keep the fluid clean and protect the differential break down over time. So your vehicle manufacturer has scheduled intervals for you to have your differential fluid changed. Talk to your friendly and knowledgeable West Texas Automotive service advisor if you are not sure about your recommended schedule.